A truck accident is not the same as a car accident and should not be treated the same. Truck accidents have their own set of regulations to deal with and can often involve many different parties including the truck driver, trucking company, insurance company, and more. The Trucking Safety Section is here to help you navigate the complex field of litigating a truck accident. The section is very active with quarterly meetings, CLE seminars, and a listserv to ask questions and share information among your fellow members. To join the Trucking Safety Section please click here. Complete the invoice and return with payment. Once received, you will be added to the Trucking Safety Section and you will begin receiving information regarding benefits, events, and meeting. To review the newly established Trucking Safety Seciton By-Laws please click here. Traffic crash reporting indicates the; who, what, when, where of a crash (for example: driver, vehicle, and insurance information). Traffic crash investigation indicates the how, of a crash (for example: vehicle #1 skidded into the rear of vehicle #2). Crash reconstruction should indicate the why, of a crash (for example: following-too-closely or defective brakes). As detailed as they might be, none of these investigations track responsibility for the crash, beyond the driver of the at-fault vehicle. 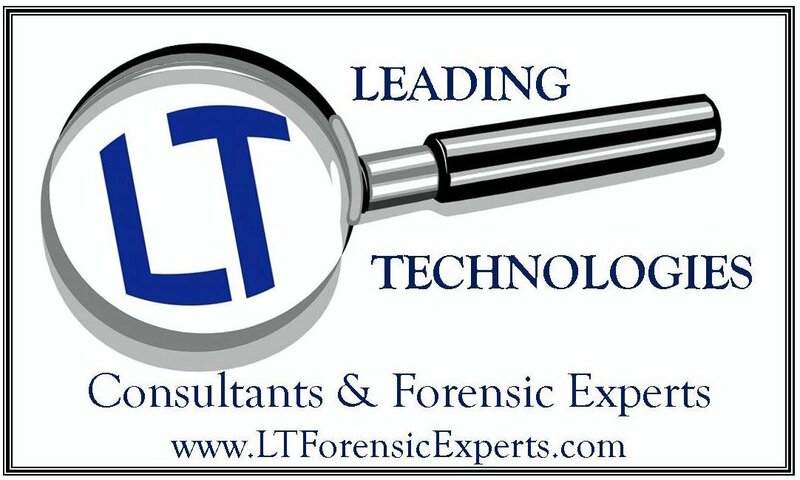 What Digital Evidence are You Missing in Commercial Crashes? Digital Forensic Examiners and Accident Reconstruction Investigators are similar, but they investigate an incident from different perspectives. Crash reconstruction determines what happened in the seconds prior to and during a crash. In other words, a “snapshot” is obtained. A digital forensic examiner determines what happened before, during, and after the crash. Collectively, the two provide a more complete “picture” of the event. One of the most influential things that plaintiff lawyers can do is to advocate for positive change for the good of the whole community. As many of you are already aware, one of the main goals for our Section is to model what we are working toward at a national level through the American Association for Justice’s (AAJ) Side Underride Committee. That committee is part of the AAJ Interstate Trucking Litigation Group (and if you are not already a member, please talk to any of us who are about the huge benefits of dual membership). By: Matthew L. Rizzi Jr., Esq. The very name of our section is deliberate, in that we are trying to place the focus on helping to make the roads safer as opposed to simply going after trucking companies. As such, our primary goal is aligned with the goal of the truck drivers in most regards. Can an Independent Contractor also be a Commercial Motor Carrier Employee? By: Scott Elliot Smith, Esq. and Nick Owen, Esq. Consider a Commercial Motor Carrier retains the services of Independent Contractor #1 (IC) to perform aesthetic repair work on the Commercial Motor Carrier’s tractors and trailers. IC #1 employs IC #2 who assists with the work performed by IC #1. One day, while working on a connected tractor and trailer at the loading dock, IC #2 enters the cab of the tractor, starts the engine, and proceeds to back the trailer several feet closer to the dock. While doing so, IC #1 is crushed against the dock and dies. Is IC #2 potentially covered under the Commercial Motor Carrier’s policy for the death of IC #1? By: Joseph A. Condeni, Esq. This article will provide a primer on the defense, and strategies for overcoming it in the various scenarios outlined above. Given the complex nature of the human brain, it is not surprising that there is no one symptom that conclusively indicates that a person has suffered a brain injury. However, when combined with a full picture of the person before a concussive event has occurred, those who interact with a person are more likely to be able to spot these injured brains. Hopefully reading this article will help you to ask the questions of not only your client, but also of client’s family and friends, and even coworkers. On July 1, 2016, the National Highway Traffic Safety Administration (“NHTSA”) reported a 7.7% increase in motor vehicle crash deaths for 2015.1 Ohio is listed in a region that saw an alarming 9% increase in traffic fatalities.2 The report includes statistics for crashes of all types including commercial motor vehicles, passenger vehicles, motorcycles, bicycles and pedestrians. This article focuses specifically on forward collision safety technology available to reduce the number of rear-end collisions and fatalities caused by commercial trucks. You receive a call, one afternoon, from a potential client. She tells you that she drives truck as part of a team and was injured when the other driver on her team drove off the side of the road. At the time of the crash she was asleep in the sleeper berth, getting her mandated rest. Liability is not an issue and there are clear, objective injuries. It seems like a no-brainer case, until the motor carrier’s insurer files a declaratory action arguing that it has no obligation to provide coverage because your client is an employee and that the policy excludes bodily injury coverage for employees and the MCS-90 endorsement also excludes employees. By: Scott E. Smith, Esq. On December 10, 2015, the U.S. Department of Transportation’s Federal Motor Carrier Administration (FMSCA) announced the adoption of a Final Rule requiring electronic logging devices (ELDs) to replace paper logs which are required to show compliance with hours-ofservice (HOS) regulations designed to prevent driver fatigue. An ELD automatically records driving time; it monitors engine hours, vehicle movement, miles driven, and location information. The new rule, referred to as the ELD mandate will take effect on December 18, 2017, giving carriers and drivers a two year window to comply with the rule’s requirements. Is the Intrastate Transportation of Waste Subject to PUCO Regulations and the FMCSR? For the purpose of this article presume a truck is a motor vehicle within the meaning of ORC 4921.01 and is owned by a motor carrier as defined in OAC 4901:2-5-01(O). This truck is used exclusively for hauling non-hazardous waste and the driver of this truck causes a collision with your client. The truck only operates in Ohio and does not cross state lines. Immediately after being retained by your client, you issued a preservation letter to the owner of the truck, the motor carrier and the truck driver. Knowing that the liability insurance carriers will not take you seriously until you show them this is not a typical motor vehicle collision you filed the law suit. Your complaint alleged causes of action including both negligence and statutory violations applicable to motor carriers and commercial motor vehicle drivers and as provided in the CFR, ORC and OAC. You then served your first set of Interrogatories and Request for Production of Documents framed upon violation of the rules and regulations alleged in the complaint. You are then surprised by the defense attorney’s discovery response. A typical Interrogatory and a defense attorney’s response. By: Jon A. Lafferty, Esq. and Joseph S. Hartle, Esq. Imagine the following scenario: It is the early morning hours before sunrise, and a dense fog is covering the area. Visibility is greatly reduced to 25-30 feet ahead. Two semi trucks are travelling down a two-lane road at 56 miles per hour, exceeding the posted speed limit. Because of the dense fog and reduced visibility, the second semi truck is tailgating the semi in front of him. Suddenly, the first semi slams on his brakes and swerves to the left. It quickly becomes clear to the second semi driver why. There was an earlier collision in the roadway, both vehicles are still in the middle of the road, and one of the victims has just exited his vehicle. By: Matthew L. Rizzi Jr. In war, “The ultimate achievement is to defeat the enemy without even coming to battle.” Sun Tzu, “The Art of War, A New Translation,” Section 3, at 17 (2012, Translated by James Trapp). The use of written discovery in commercial vehicle personal injury cases is a piercing arrow in the litigator’s quiver. Specifically, use of the Federal Motor Carrier Safety Administration Regulations (“FMCSA”) in requests for admissions can lead to a treasure trove of information, and can often subdue the trucking company’s insurer into surrender, without ever making it to a first pretrial hearing. In a case that our firm handled earlier this year, with which I was involved, a truck driver was driving a gasoline tanker down the interstate. As he drove, he came across the scene of a crash being investigating by highway patrol. There were cruisers blockading the lane with their emergency lights on and an officer directing traffic by hand. Despite this, the driver, without even attempting to brake, plowed through multiple patrol cars and other emergency vehicles, killing one of the police officers investigating the scene. During the investigation, the police forensically examined the truck driver’s cellular phone and determined that the driver had been looking at pictures on Facebook at the time of the crash. One of the biggest variables in any trucking accident is the truck driver. Whether or not the driver is responsible, credible and professional is a critical component to evaluating any trucking claim. More often than not, by the time you are retained by an injured party, the truck driver’s insurer and/or employer has retained counsel for civil liability, the driver has been directed to not provide any statements to anyone unless with the assistance of counsel or required by law enforcement, an accident reconstructionist and independent investigator have been retained to gather and evaluate any and all data regarding liability and a criminal defense attorney has been retained in order to fight any potential criminal charges the driver faces. Do You Know The Seven (7) Trucking “Basics”? 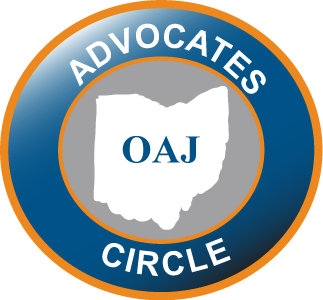 The Trucking Safety Section of the Ohio Association for Justice (OAJ) is hosting its 3rd Annual Continuing Legal Education seminar in Cleveland, Ohio. At the request of OAJ members, we are going to step away from some of the complex nuances and subtleties of trucking litigation and move back to CMV Litigation 101. If you are interested in handling semi-truck or bus accident cases, or if you’ve been handling these cases no differently from ordinary car accident cases and want to learn how to increase their value, then this seminar is for you! Test your knowledge now to determine whether or not you should attend. Do you know the following acronyms? Farming Operations- Exempt or Not Exempt? As we enter the spring planting season in Ohio, we can be sure to see many farming vehicles in operation. Although many farmers may argue, and even believe, that their farming operations make their vehicles exempt from transportation regulations, nothing could be further from the truth. Ohio does allow farming operations that occur during the planting and harvesting season to apply for an exemption for the drivers who qualify. The idea behind this exemption is to help promote farming in our agricultural state. Arguably, if a farmer is only operating a large tractor to and from the field during the planting and harvesting period, then the requirement for having a commercial driver’s license may be exempted. O.R.C. §4507.03 (But in order for that exemption to be available, the activity must take place within the six month season, be for private purposes and the driver has to have a “clean” driving record as outlined in the code.) If the vehicle being used is required to have a United States Department of Transportation (USDOT) Number, then the exemption is not available to the driver. A common pitfall for personal injury attorneys is treating a trucking accident case like any other motor vehicle crash. Given the professional status of commercial truck drivers and the obligations of those drivers, and motor carriers, under the Federal Motor Carrier Safety Regulations (FMCSR), a more detailed fact investigation must take place in order to explore all potential claims. For example, in a disputed liability case more legwork is required than merely reviewing the police report, visiting the scene, taking photographs, and contacting witnesses. Even where the trucker’s liability appears clear additional investigation is required from the outset. What Is The Minimum Insurance Coverage In Ohio Intra-State Trucking Cases? Minimum insurance coverage is easy to determine when commercial motor vehicles are involved in interstate commerce. 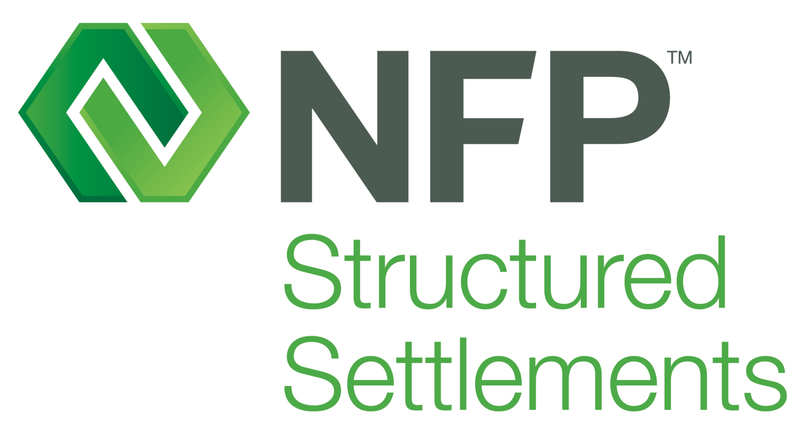 49 CFR 387 requires a minimum $750,000 insurance policy in most circumstances, $5 million for hazardous material carriers and $1 million in a few unusual circumstances. But what are the minimum insurance limits when the truck is an Ohio truck that does not cross state lines?